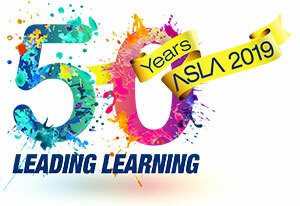 The Australian School Library Association Inc. (ASLA) and Pledger Consulting Pty Ltd (LinksPlus/Weblinks) have pleasure in announcing the winner of the 2009 Australian Teacher Librarian of the Year Award – Nareeda Tillman from Mindarie Senior College, Mindarie, Western Australia. The Australian Teacher Librarian of the Year 2009 is awarded to a teacher librarian who demonstrates a high level of achievement in each of these three components of their role and thus provides a library and information service that improves student learning. The 2009 Australian Teacher Librarian of the Year, Nareeda Tillman, a member of the Western Australian School Library Association (WASLA) manages a diverse library service at Mindarie Senior College (MSC), Mindarie, Western Australia. Mindarie Senior College opened in 2003 and caters for 840 Year 11 and 12 students, and has the largest proportion of English migrant students in the state. Students have flexible attendance hours and operate outside the normal 9am to 3.30pm timetable. The college provides a comprehensive choice of courses for those aiming for university and TAFE, and specialises in the Arts (including television performance and production), fitness and health studies. Technology is an integral part of all courses, enabling students to access their courses on-line throughout the college and numerous community partnerships offer students the opportunity for real-life learning. Mindarie Senior College Library is set in a state-of the-art environment and provides its students with a premier information and resource facility, one of the best in Western Australia. This outstanding school library has been achieved in 5 years, through the exceptional leadership of teacher librarian Nareeda Tillman. The school is founded on a principle of treating the students as independent, young adults. Nareeda’s professional knowledge has been put to extensive use with the introduction of the innovative curriculum and an example of Nareeda’s curriculum design skills can be seen in her collaborative planning, implementation and evaluation of a new unit offered in 2009 for Courses of Study, Workplace Learning, Unit 1A. This new unit required a lot of collaborative liaison between Library and Workplace Learning staff. Nareeda was involved at all stages of the planning and implementation and evaluation of this unit. In particular this unit meets the needs of a student group, by providing an investigative activity which provided opportunities for employment. Nareeda worked together over many hours to produce a practical and highly relevant unit that linked co-operative and information process skills, research, careers, employee negotiations, and use of websites. Nareeda was appointed by merit as the foundation teacher librarian; she set a direction for the library to fulfil its articulated vision outlined by teaching and learning goals which included ‘an increased emphasis on self-directed learning in teams’, ‘a sophisticated level of computer-enhanced learning’, ‘staff act as navigators and facilitators for students in their learning’ and ‘all students, staff and parents are committed to supporting individuals to strive for their personal best’. She is confident in her knowledge of lifelong learning and acts as a ready resource for teachers needing support, content and process understandings of all aspects of information literacy theory and practice. Nareeda’s understandings of young adult learning are particularly relied upon by teachers at MSC as the college caters only for Year 11 and 12 students; and it has the highest intake of migrant students in the state who come from a wide range of cultures. Nareeda is particularly dedicated to the total inclusion of these students; that their social, cultural and developmental backgrounds are considered when planning and implementing programmes or resource provision. Her professional practice has fostered a learning environment where teachers and students work together in the pursuit of excellence and she is always looking to the future to adapt, modify and embrace current best practices to ensure every resource and service has a context set within the provision of cutting edge IT and innovative information practices. Nareeda is a powerful knowledge base in this area and provides practical application of these programs to ensure that MSC students are at the top of the information literacy ladder. The college’s associate principal Rick Gendle states that “maximum access to information resources is achieved through the flexible timetable and school-specific longer hours and 4 day class week, allowing for the library to be open on Wednesdays on a timetable-free day” and that “the management of library staff hours and rosters might be a nightmare in any other school, but Nareeda accomplishes all this with ease and ensures that students are encouraged to use their library on these extended hours. In such a school, the use and nature of ICT and their role in its curriculum needs to be very flexible. Access to technology has to be accommodating and take in all students’ particular course and timetable requirements; portability, multi-task IT and user training and independence have been Nareeda’s focus here”. Having been involved in collaborative curriculum development since the school’s conception, Nareeda has a unique view of the whole school curriculum. As she works with all teachers on a micro as well as macro level, she also has a telescoped view of specific programs in the school. Finally, a recent testament to Nareeda’s management ability was found in the comments of one of the very many visiting groups of overseas teachers that tour through the library. A visiting Canadian principal said he was overwhelmed with Mindarie’s library and its impressive facilities, its tone and use of resources. The library’s very visible technology credentials are impressive, but it is Nareeda’s management skills which gets the attention. Nareeda always emphasises that young adults are trusted and so encourage the self directed learner; it is the management of the resources which dictate how users treat these resources and that it is a cycle of mutual trust that determines service. Prior to leaving MSC, ex principal Peter Holcz stated that Nareeda “has made outstanding contributions to the success of MSC. She is a truly magnificent teacher librarian and the college is privileged to have someone of her calibre. Her dedication, skill, professionalism and commitment and care for your students and fellow staff members is exceptional.” It is Nareeda’s pride in her teacher librarian role that provides the foundation for her professional commitment to her staff, school, community and wider school library world. She is a true model of a lifelong learner who encourages her colleagues to be the same. Her tireless promotion of literacy, learning and the school library program ensures she is held in the highest regard by students, staff and administrators.